This course looks at the latest technologies and offerings in the marketplace of patio doors and sliding glass walls for new and existing homes. 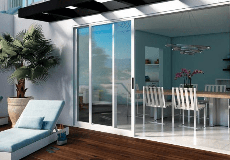 Patio doors include sliding doors, as well as in-swing and out-swing doors. Sliding glass walls include stacking, bi-fold, and pocket operational styles.